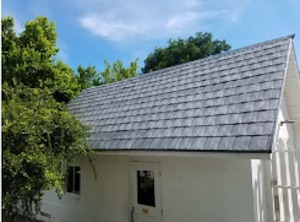 The Monroe County Board of Commissioners is seeking contractors to perform roofing repairs on the Key West Lighthouse Gift Shop located in Key West, Florida. The Gift Shop was constructed in 1926 and is considered a significant historical site. All historic fabric and materials will require protection and the work must be supervised by personnel familiar with the Secretary of Interior’s Standards for Rehabilitation. Bids are due by May 7. A non-mandatory pre-bid meeting will be held April 18. The chosen contractor will oversee rehabilitation of the Key West Lighthouse Gift Shop roof as well as interior and exterior coating. Wood surfaces will require cleaning using sandpaper of varying degrees of coarseness to produce a uniformly smooth and unmarred finish. Exterior wood including doors and trim will receive a three-coat latex system. Metal surfaces will require surface preparation. On galvanized surfaces, the chosen contractor will use solvent cleaning processes for the initial treatment, followed by a phosphoric acid etch. All non-galvanized metal surfaces will require a zinc-based primer. Exterior metal ferrous handrails will receive a rust inhibitive primer and two coats of a low-luster latex finish coating. Rusted surfaces will require preparation with a surface primer. For galvanized exterior metal surfaces, a galvanized metal pre-treatment will be followed by a three-coat alkyd system. New galvanized metals will require solvent washing before priming. Interior gypsum surfaces will be coated with an eggshell enamel three-coat system. No paint spraying will be allowed. Only brush application is acceptable for this project. Paint colors should match the existing siding and trim. The approved manufacturer is Benjamin Moore Company. Equal products of Sinclair, Thoro, Glidden, Frazee, Dunn-Edwards or other manufacturers may be approved in advance.